Today we will discuss how to find a custom manufacturer of plastic molding products. Plastics are very essential compounds in our day to day life. Computer accessories, toys, kitchen utensils and many other household items which we use every day have undergone the molding processes. The molding process is not difficult to understand. In very simple terms, it involves transferring liquid plastic into a mold then allowing it to cool and form the required product. For instance, plastic molding can be used to make toys. When this is done, molten liquid plastic is inserted in a mold that is shaped like a toy and then later allowed to cool. The same process can be used to create other types of molded products such as advertising items and signage. Being a very technical process, plastic molding should be done by a reliable manufacturer. When choosing someone to design your plastic molded products, here are a couple of factors to consider. There are several types of molding processes used when working with plastic products. Injection molding is among the most common processes and it is normally used in mass production of plastic items like mobile phone accessories and toys. Compression molding is another popular process of generating molded products. Unlike injection molding, it uses vertical presses. There’s also rotational molding and structural foam molding which have become popular over the years. The location of your custom manufacturer is important because it is going to help you to save on a lot of costs. In many cases, you will need to transport the molded parts for assembly and packaging to be done. If you choose a manufacturer who is situated outside your boundaries, you’ll have to pay a lot of shipping costs. There is also the inconvenience and lead time increase of choosing a manufacturer who is not readily available in your area. Having your molded parts manufactured close to your industry can really help to reduce cost and time. Different companies will present varying turn around time and you need to consider this information when choosing your manufacturer. The more time it will take for the molded parts to be ready the more cost and time it takes to get the final product. If you will be relying on the molded products to make your final product then it is important that you choose a manufacturer who can deliver within the required timelines. Ask them to give you timelines for the different processes involved in molding including design, prototyping, changes and production. For the molded parts to be completed on time, the design should be complete within the stipulated period so that prototypes can be made and any required changes done before the products are sent to the customer. What options of shipping and delivery do they offer? 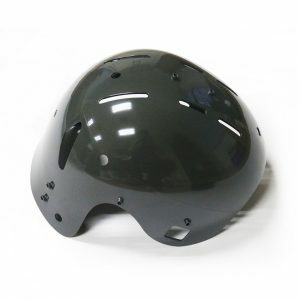 You need to determine the kind of shipping and deliver options offered by the manufacturer for the molded parts. Once they are ready, you want to ensure that they get to you as soon as possible so as to continue with production. Reliable molding companies will have in place a variety of shipping options so you can choose the one that is most ideal for your product. Some of them have a fleet of trucks that offer delivery to customers within their area. If you can find a custom manufacturer of molded parts who offers manufacturing together with assembly, packaging and shipping then you’ll be able to cut down on costs and increase lead time. Take your time when searching for a suitable manufacturer and ask all the questions regarding their services before you sign up. Being a very technical process, plastic molding should be done by a reliable manufacturer. Today Jason Mould will discusss plastic injection molding technology and what is injection moulding together with you.